Being involved in a horrific accident can have extremely transformative and powerful effects on more than just a person’s physical body. When the use of limbs or other functions are impaired, other things compensate, like the development of a new personality or skill. The recovery process can be long and difficult, and some people never bounce back from it. Others enter an entirely new phase of their lives, complete with impressive achievements and an incredible ability to make the most of an unthinkable situation. 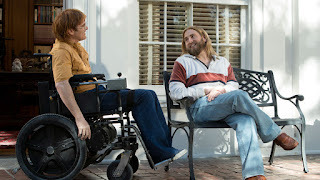 John Callahan (Joaquin Phoenix) is introduced as a wild partyer from Oregon living in Southern California whose irresponsible habits and alcoholism catch up to him when he is injured in a car crash, leaving him as a quadriplegic. After bonding with a physical therapist (Rooney Mara) during his long road to recovery, Callahan eventually confronts his addiction with the help of a sponsor named Donnie (Jonah Hill). 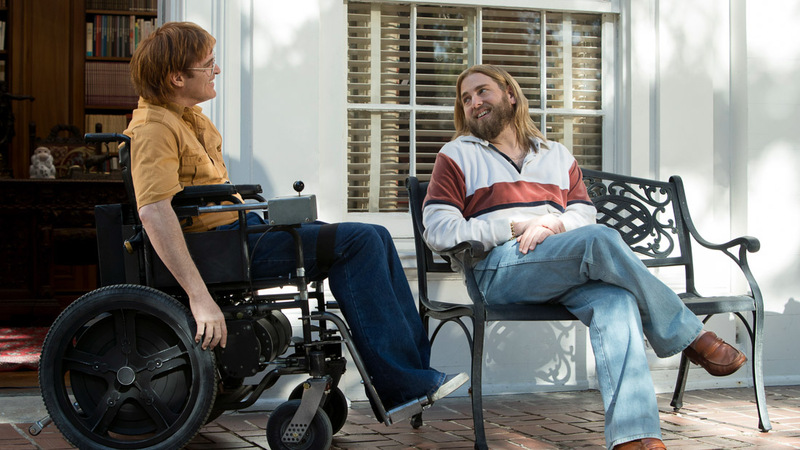 As he speeds around town on his motorized wheelchair, Callahan takes up cartooning, eventually becoming well-known for his controversial work, much of which deals with his own physical state. This is a return to what might be termed mainstream filmmaking for direct Gus Van Sant, who went on from Oscar success with “Good Will Hunting” to make films like “Elephant” and then a few years ago released the lackluster “Sea of Trees.” Here, he creates a biopic about a man who really was known for going much faster than his wheelchair was supposed to go and who made a great impact on popular culture with his boundary-pushing cartoons. 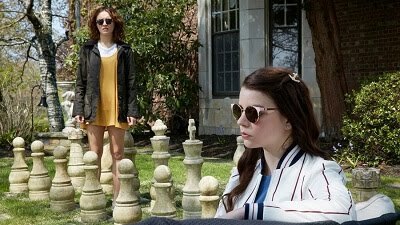 There are some elements of the film that feel like they could have been presented in a better way, like Callahan’s method of coping with not knowing who his mother was, but overall it’s a functional narrative that’s both informative and entertaining. Phoenix is a skilled actor who delivers a competent performance that feels lived-in, representing Callahan’s unruly nature prior to his accident and then the complexity of his personality following it. Hill is clearly having fun playing Donnie as someone who loves lavishness just for the sake of it but also manages to help those in his support group through their issues. Mara is lovely and enchanting as someone who takes to Callahan and offers him a form of affection he doesn’t receive from anyone else. This film is an enjoyable and involving ride, driven by the power of the true story on which it’s based.